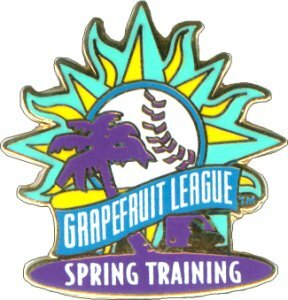 With pitchers and catchers reporting in ONE DAY (Yankees), I am very antsy about Spring Training and the 2009 Season to start. I am not as much of a fanatic for other sports as I am about baseball. With all the controversy surrounding A-Rod and baseball, it hasn't made my feelings about the game change. Without going into the steroid/HGH topic again, the easiest way I think to end this whole topic is to out the other 103 players on that list, let MLB, MLBPA, and the players themselves deal with this at once rather than leave it a mystery and slowly leak one name out at a time over the years. Right now that leads us to believe that everyone is a suspect and I am not sure how other sports fans may feel about that. I would be very disappointed if my favorite player was on that list, but I also would take it with a grain of salt at this point. How mad can we get about it? At any rate, one of my favorite things about this time of year other than going to see the Yankees is the MLB Package on Direct TV. I really like watching other teams, advertisements and endorsements from other home town players, and listening to the announcers from some teams- especially the Dodgers. I really enjoy listening to Vin Scully do the games, and I don't mind the Dodgers either. Obviously, I love watching Pujols play, but the best part of that package is having it in late August and September when you are down to close pennant races and can flip between all the teams chasing first place. Now that I got all excited, there's still no baseball on. I'll have to resort to Grey's Anatomy and Private Practice. I am also working on a contest. I have the prize but need a good contest for it. It is a baseball related prize, but not cards and I guarantee you'll all like it. I don't think I want the 103 names leaked, especially if it's determined that someone in MLB hierarchy or an owner is doing the leaking. That would lead to labor unrest the likes of which we have never seen. I don't want that. Let MLB and the union take care of this quietly, forget about the ugly past and "exposing" players, and work on fixing the issue for the present and future. I also have the "sports channel" package on DirecTV so I'll be able to watch some spring training games too. I can't wait! I am definitely not a fan of Grey's Anatomy and Private Practice though. My wife watches them religiously. She's excited about the "crossover event" that they're doing. I like to tell her that if I was ever in need of hospitalization, the last hospital that I'd want to go to would be the one where the Grey's Anatomy doctors work. All they ever do is gossip and start affairs with each other, with very little actual medical work. And whenever I do see them actually operating on a patient, the patient usually dies. Perhaps quietly sorting it out would be best, however if the names are released and players are dealt with I think names will leak out anyway. A-Rod is an easy target. Dave- bear with it, the cross over ends next week, then the show will be back to who's banging who, and what not. I would go to that hospital with the promise of no intern coming near me, they are the dumbest ones there. I am not a fan of most of the mid-western announcers I find most of them boring to listen to, and one in particular always irritates me because they don't seem to know what is going on and once the season starts and I flip on that team I will identify them. I agree. Get rid of them all. If one kid starts using steroids to be like their hero then the damage is done. We're not just talking about money and records and hype for already-rich people, we are talking about lives. Better yet, put them in a league of their own where they can take as much as the want and everyone can watch the outcome. Not pretty, but it might discourage other poeple from trying it. -Maybe not.